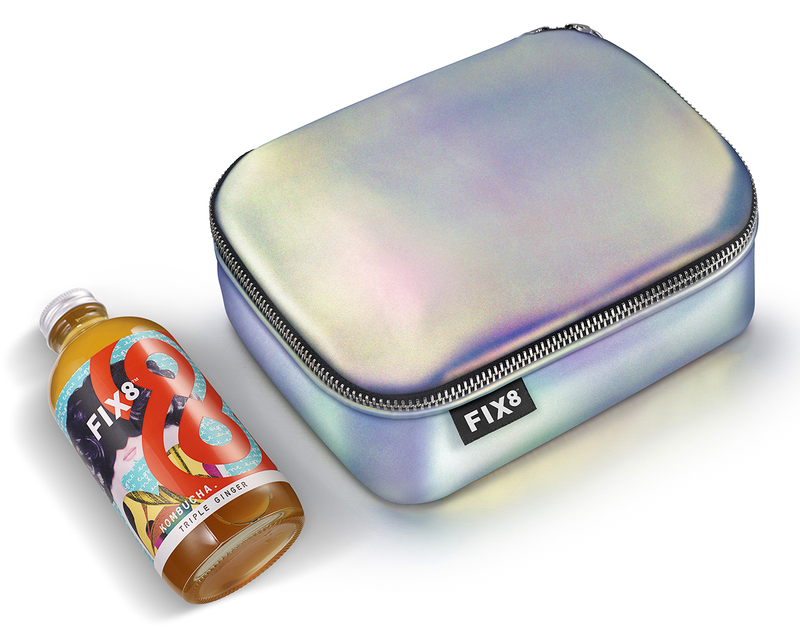 Kombucha start-up FIX8 launches in the UK this month, with new brand creation by design agency B&B studio. 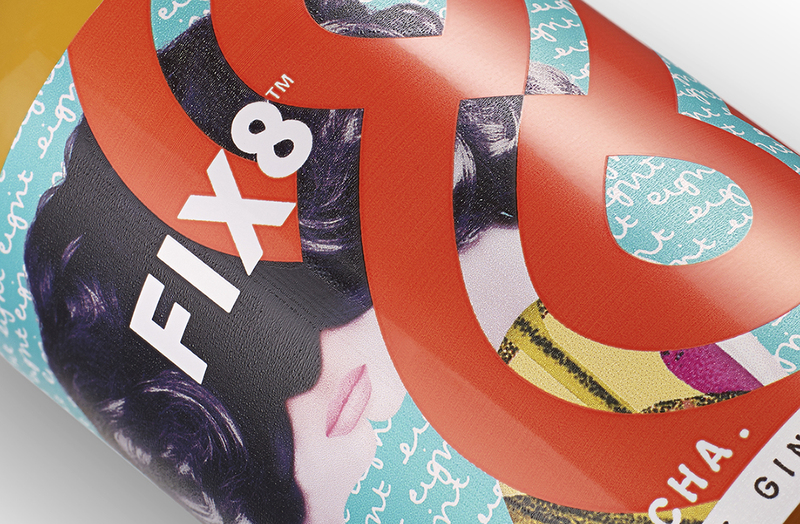 Available as a range of three core flavours – Triple Ginger, Strawberry Tulsi and Citrus Saffron – presented in glass bottles, FIX8 is a brand born from the idea of positive addiction. 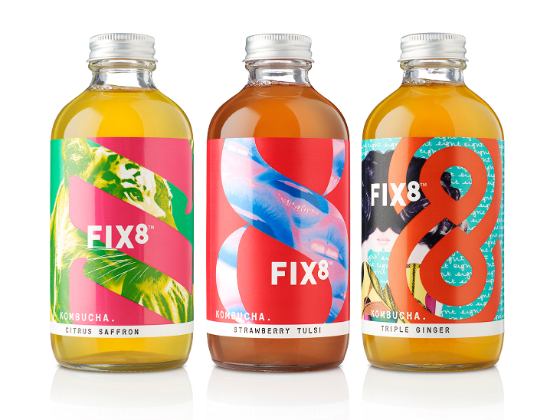 In a nod to the health benefits of kombucha – including improved digestive health and increased energy levels – the new identity for FIX8 appeals to the core kombucha consumer for whom wellness is a positive addiction, with a commitment to health trends that goes above and beyond the norm. Shaun Bowen, Creative Partner at B&B studio, says: “When you look at the kombucha category, the same design codes appear again and again. A modern take on apothecary bottles, scientific language to explain the complex fermentation process and the languages of other beverages. 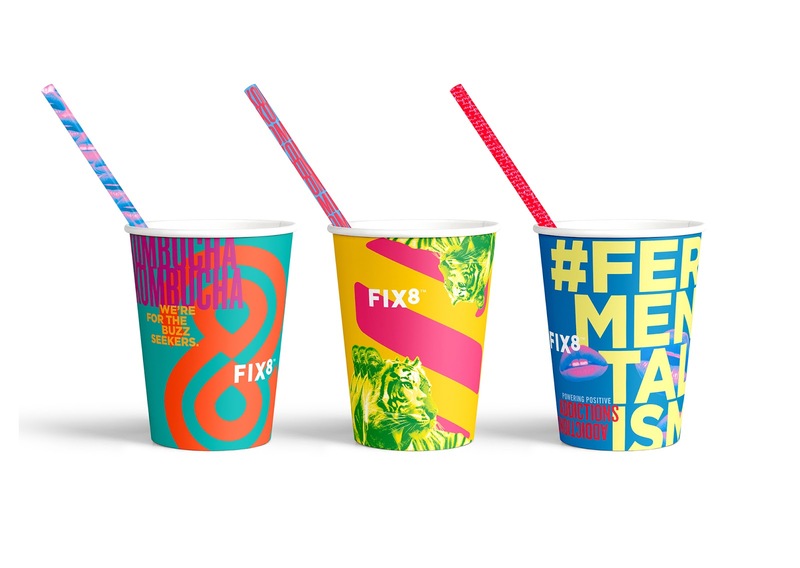 Whilst in wider consumer culture addiction is often paired with negative connotations, FIX8 flips this on its head and celebrates the power of positive addiction. 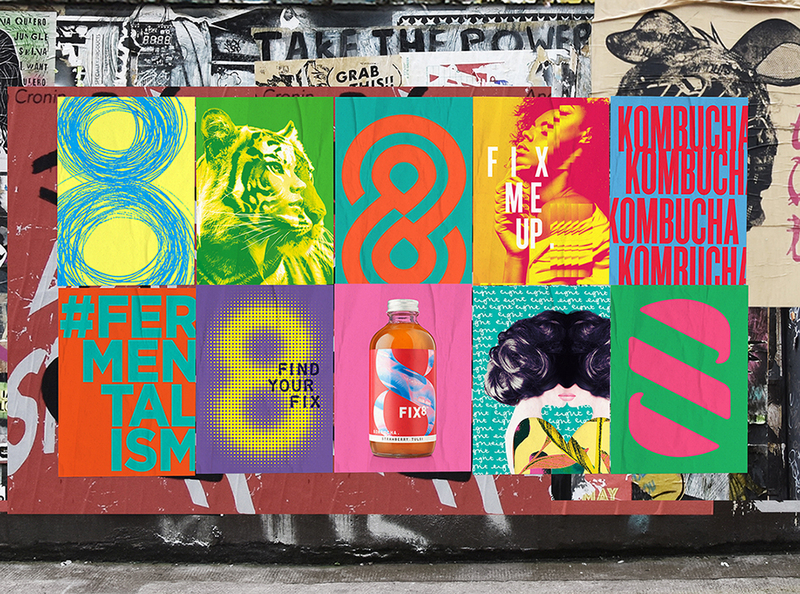 Bold colours and graphics express the energizing sensation of consuming the drink, and layered, repeated imagery brings the identity to life – reflecting the living cultures within each bottle. Following a rapid surge in consumer interest, the kombucha category has seen a wealth of new products entering the market. In this relatively undeveloped sector, many kombucha brands have taken design cues from other sectors such as beer, medicine and tea, defining their offer by what it isn’t. 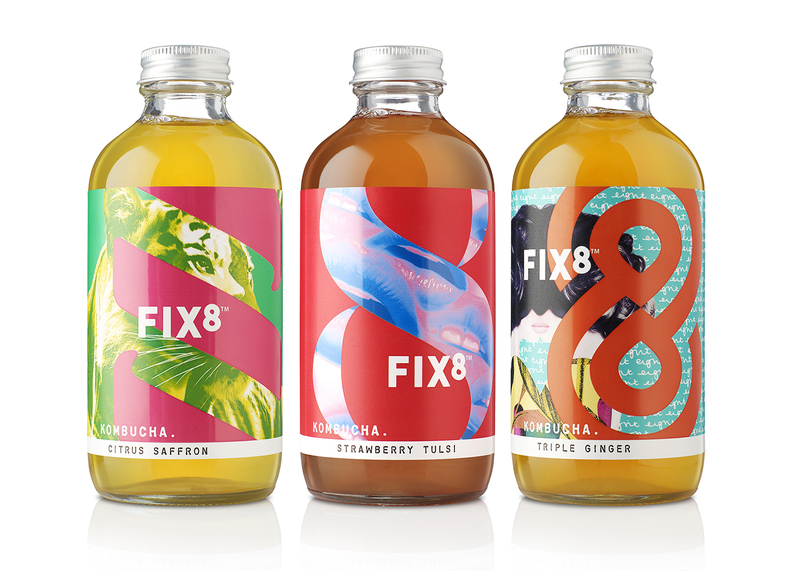 Conversely, B&B studio’s new brand creation for FIX8 embodies everything that kombucha is with an identity that it is intense, compulsive and full of buzz. The agency is responsible for the brand’s positioning, name, visual identity, copywriting and packaging design.